With less than 500 miles to race to the finish in Miami, the weather gods have thrown in another band of light air to keep the five boats racing on their toes. 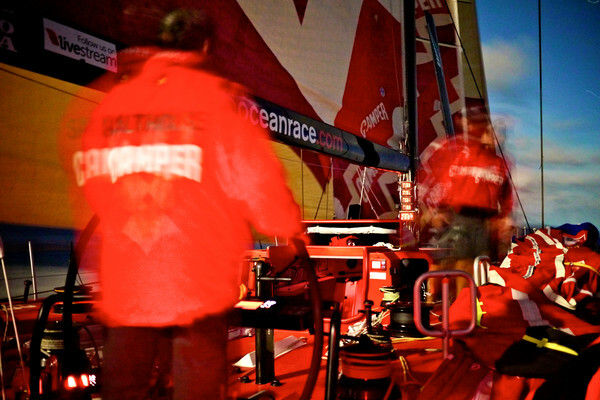 As the breeze softens once again, at 0700 GMT today, PUMA Ocean Racing powered by BERG (Ken Read/USA) saw their lead slashed to 12.9 nautical miles (nm) by CAMPER with Emirates Team New Zealand (Chris Nicholson/AUS). Out to the west, Telefónica (Iker Martínez/ESP) had fared less well and were forced to take an expensive hitch east in search of better breeze. 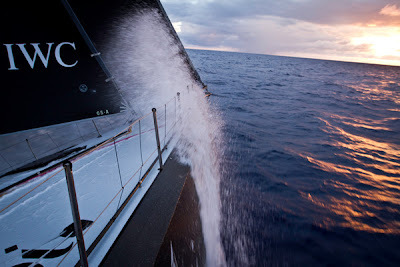 Although still clinging on to third position, they are now 63.3 nm behind PUMA and averaged 6.5 knots in the previous three-hour period, half the speed of CAMPER. 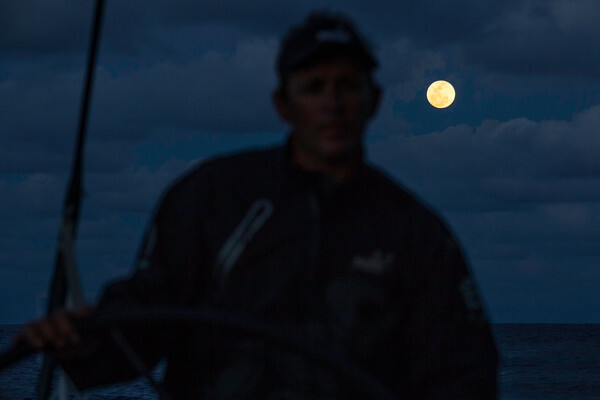 PUMA was the first to feel the effects of the lighter airs, and according to navigator Tom Addis, tonight could see glassy seas, again lit by a huge ‘super-moon’. Addis said the restricted sea room caused by the Turks and Caicos Islands limits the options for passing lanes and open-ocean leverage, reducing the chance of dramatic lead changes. However it is a nervous time for the crew of PUMA, who have so far been in pole position for the entire 4,800 nm leg from Itajaí in Brazil. 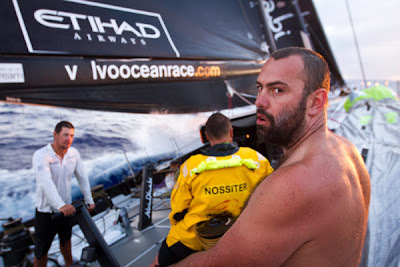 CAMPER navigator Will Oxley has taken Chris Nicholson’s team close to the islands in the hope of picking up thermal breezes. 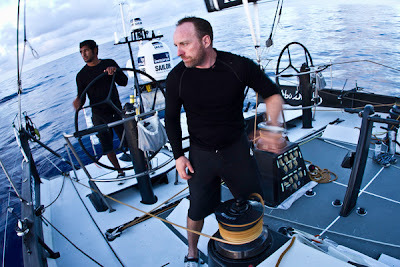 So far, with an average boat speed of 12.9 knots over the past three hours, his plan looks to be paying. “An interesting game is being played out right now. We are literally island hopping in the Bahamas, picking up local sea breezes, trying to get every morsel of breeze that is on hand,” explained skipper Chris Nicholson. 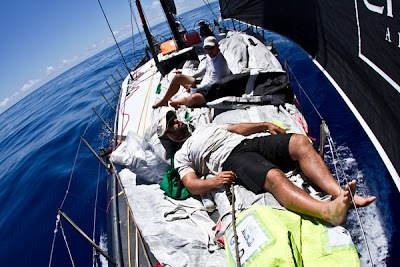 While Abu Dhabi Ocean Racing (Ian Walker/GBR) are following a similar course to that of CAMPER, Groupama (Franck Cammas/FRA) have taken a chance and split away, leaving the islands to starboard, 56 nm to the east of Abu Dhabi Ocean Racing. 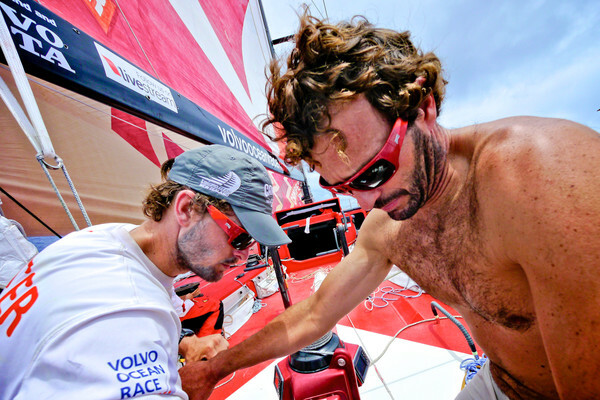 According to Ian Walker, Groupama’s course should mean more wind for the French team, but probably a longer route. “It is certainly more fun separating from them than following in their wake,” Walker said. At 0700 GMT today, Groupama was averaging 12.6 knots, but still 85.8 nm off the lead, but now within 22 nm of second placed Team Telefónica. 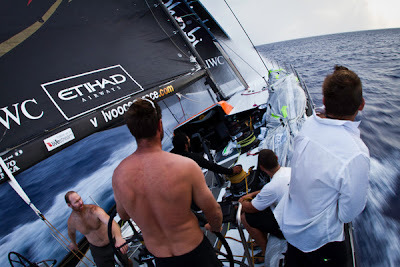 Meanwhile, Abu Dhabi Ocean Racing are trying hard to keep as far west as they could to avoid a large area of light wind in their path. 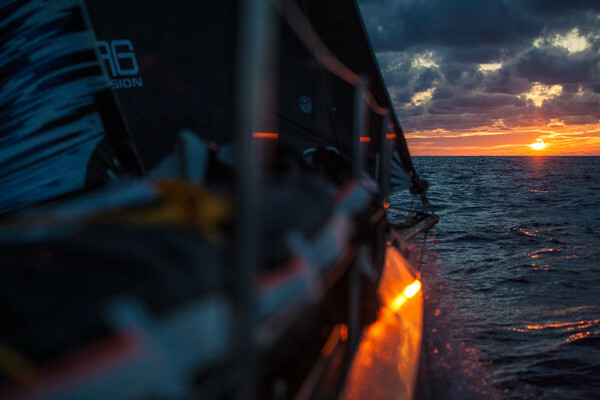 Averaging a knot and a half slower than the French, the Emirati team is 102.2 nm off the lead.The first boat is expected to cross the finish line in Miami on Wednesday May 9.